Portugal is ideal for a slow holiday. The cities of Porto, Sintra and Lisbon, the three distinctive regions of the Douro Valley, Alentejo and the Algarve, all different and strikingly beautiful. ‘Obrigada’ Portugal, absolutely fallen for you. Because you have it all – beaches, mountains, lakes, hills, cosmopolitan cities and lovely villages that still have the remnants of more than a century of of history. There’s no getting bored wandering in Portugal, thanks to the intricately patterned cobblestones under your feet. Specially in Lisbon even the walls demand attention, thanks to an obsession with ceramic tiles, so enjoyed the visit to the Tile Museum too. Wandering a bit further, Cascais is essentially a seaside place – beach, seafood and the famous Santini ice creams. 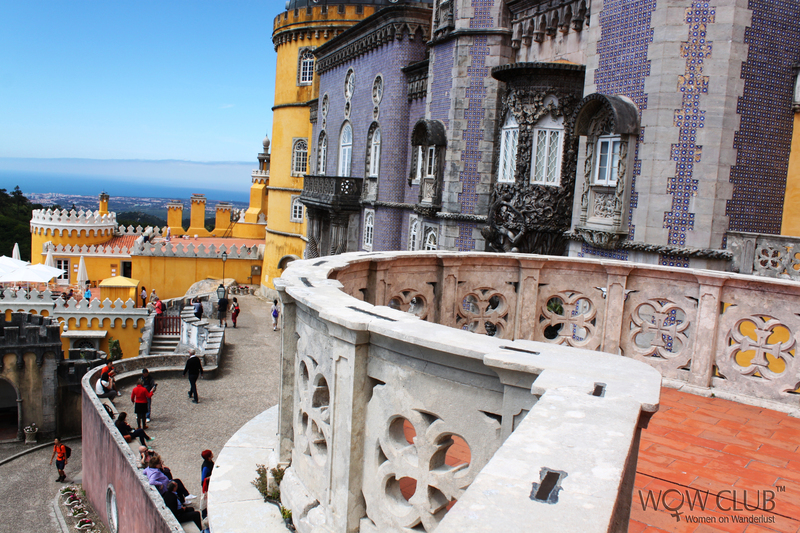 Then there is Sintra, the time-warp town, located in lush, wooded hills sprinkled with quaint palaces and mansions of aristocratic wealth and opulence. Porto is yet another gem, where one can check out the difference between ruby, white and tawny ports. Here you can sip a glass of a 10-year-old tawny watching the ‘rabelos’ that once brought wine barrels all the way from the Douro vineyards. Portuguese style octopus and custard tarts are a must have. As the story goes, in the old days nuns used the white of egg to ‘starch’ up their habits, then the left over egg yolks were turned into an amazing variety of sweets. But the best is yet to come – Alentejo and the Algarve, the largest producer of cork in the world and place for the best wines, cheese and olives. Literally meaning ‘land beyond the Tagus’ the Alentejo also has an abundance of Roman remains… Wandering through Évora observe the city walls, a huge aqueduct and Roman temple. Definitely recommended. Try and overnight at the Pousadas Dos Loios, a former monastery bang in the centre of Évora, where each room is a former monk’s cell. Or check out the Pousadas at Sagres in the Algarve with its superlative views and great hospitality. Above all is the simplicity and friendliness of the Portuguese, seeing name plates like Fernandes, Braganza,Almeida, D’souza makes one feel even more at home!